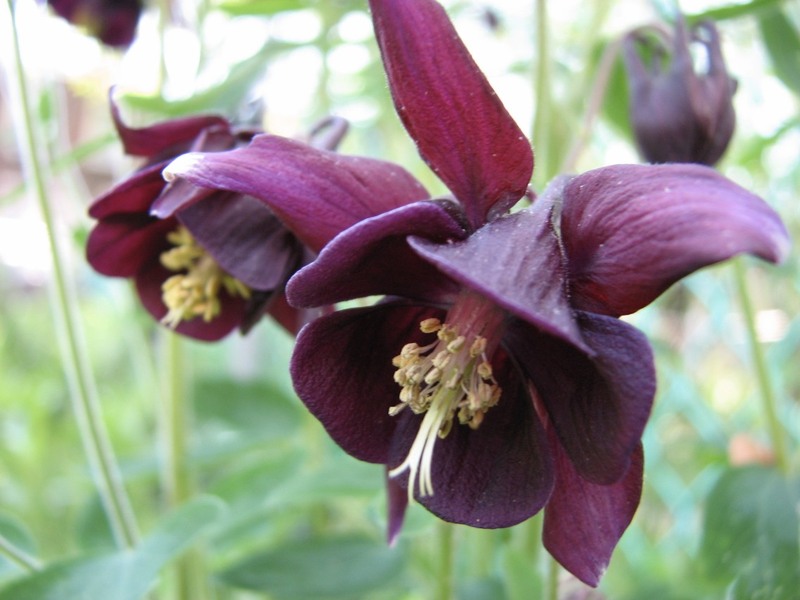 A deep purple Columbine flower blooms in my garden. Photo by Donna L. Long. Here are several native plants sale here in the Philadelphia and Mid- Atlantic area. In Season also has a full list of native plant sales in the Mid-Atlantic region. When I attend native plants sales, I find it helpful to take a native plant list with me. I make a list of the plants I have researched and decided to add to my garden. This cuts down but doesn’t eliminate impulse buys. My favorite native plant garden guide for the Mid-Atlantic is Native Plants of the Northeast by Donald J. Leopold along with other books on my list of best books. Members’ Preview Sale Event – Friday, May 9, 2014, 2:00 p.m. to 7:00 p.m.
Public Sale: Saturday, May 10 – Sunday, June 1, 10 a.m. – 4 p.m., closed Mondays. Garden Members Preview Party on Friday, May 2, 4:00 p.m. to 7:00 p.m. I have never been to this sale. There are bound to be native plants suitable for seaside gardens. I have never been to this sale but the catalog does list native plants. Red Bud sells only Mid-Atlantic native plants. I go there a drool. It is the place for flowers, shrubs, ferns and other native plants.